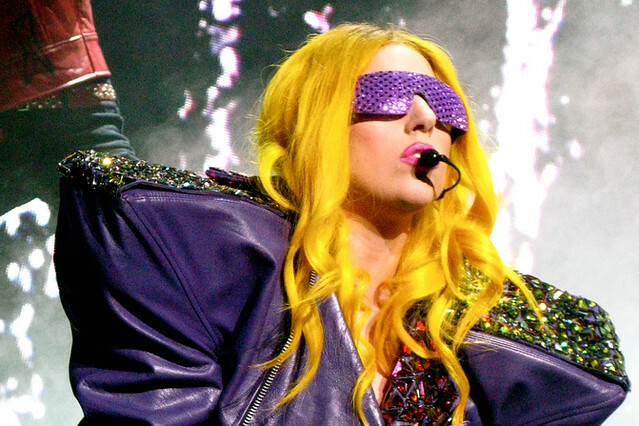 From Lady Gaga and the Bolshoi to Freddie Mercury and The Royal Ballet, pop and ballet are fascinated by each other. One of Queen's most iconic music videos and possibly the clip that kickstarted pop's fascination with ballet, I Want to Break Free saw The Royal Ballet perform with Freddie Mercury in a Wayne Eagling-choreographed performance that paid no small homage to Vaslav Nijinsky's L'Après-midi d'un faune. The Company had worked with Mercury before - performing Bohemian Rhapsody and Killer Queen with him on stage at a gala at the Coliseum in 1977. Mercury was an avid opera and ballet fan, and also collaborated with soprano Montserrat Caballé. Pop's most eccentric artist collaborated with the Bolshoi Ballet as well as a host of other celebrities for Los Angeles Museum of Contemporary Art's 30th anniversary gala in 2009. The event was masterminded by artist Francesco Vezzoli, who dubbed Lady Gaga 'one of the Nijinskys of our epoch'. Among other high profile collaborators, Damien Hurst designed the piano played by Gaga, while Baz Luhrmann and Miuccia Prada designed costumes, and David Hockney designed the staging. Another pop/dance fusion from Wayne McGregor, Carbon Life saw the choreographer team up with DJ/producer Mark Ronson enlist to assemble a supergroup of pop talent from 80s new wave (Boy George) to indie rock (Andrew Wyatt of Miike Snow, Alison Mosshart of The Kills and The Dead Weather) and hip hop (Wale). The Gareth Pugh-designed production saw a backing band perform nine songs live from the rear of the stage while a revolving ensemble of Royal Ballet dancers performed in front. Among other inventive elements, the ballet saw male dancers performing on pointe, dressed in Pugh's striking angular costumes. Performed to an orchestration of Sufjan Stevens's astrology-inspired electronic song cycle Enjoy Your Rabbit, Year of the Rabbit was choreographed by New York City Ballet corps dancer Justin Peck. It followed an earlier collaboration between Peck and Stevens, which was created for the New York Choreographic Institute and follows the George Balanchine's tradition of, in Stevens's words, 'refusing to impose meaning [and] manipulating the dancers as abstract objects'. The pair are collaborating on a third work which will have its premiere in May 2014. What are your favourite ballet/pop collaborations? Chroma/New Wayne McGregor/Carbon Life runs 10–19 November 2016. Tickets are currently available.